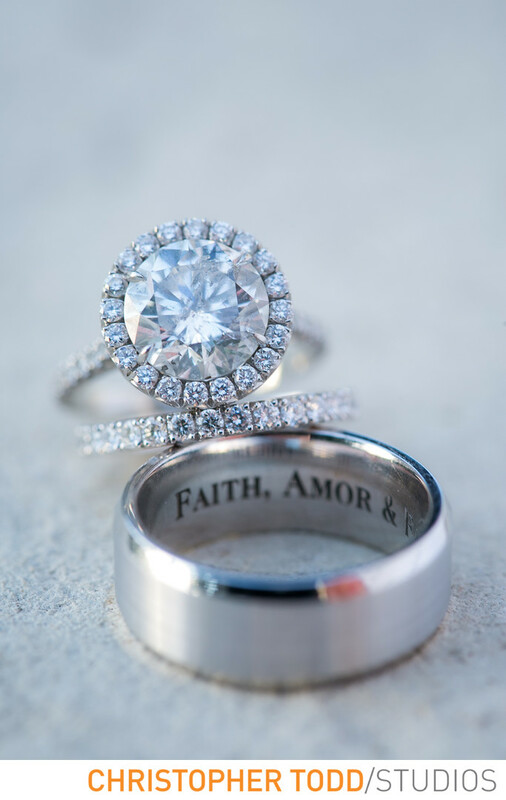 A photo of the rings is an important detail to photograph before the ceremony on the wedding day. Here we set the wedding rings on a white table at La Venta Inn. Location: 796 Vía Del Monte, Palos Verdes Estates, CA 90274. 1/80; f/5.0; ISO 500; 100.0 mm.